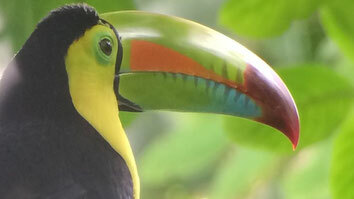 Vacations in Costa Rica, All nature 6 days, 5 nights. Visiting San José, Tortuguero, Arenal Volcano & La Fortuna. Our proposal is an excellent combination to enjoy the vacations in Costa Rica, living the beauty and natural treasures to visit the beautiful area of Tortuguero, go to the Arenal Volcano and enjoy one of the spectacular views of the colossus, its delicious Hot Springs and all the beauty that surrounds its. 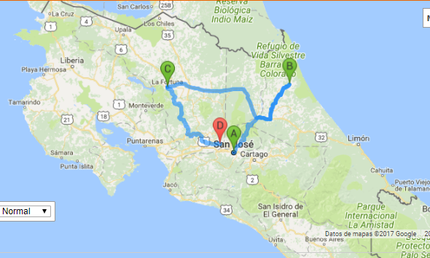 Day 1: Arrival in Costa Rica - Transfer to your hotel in San José. According to the information provided about your arrival flight to Juan Santa Maria International Airport, our driver will be waiting for you to transfer you to your hotel in the center of our Capital, San José. Very early we left San Jose, around 6:00 a.m. in the direction of the Costa Rican Caribbean to visit one of the richest areas of bio diversity in Costa Rica. Morning hours enjoy the Tortuguero area and in the afternoon transfer to your hotel in the Arenal Volcano area. Day 4: Visit the main attractions: Arenal Volcano, Hot Springs, Catarata (Waterfall) Rio (River) Fortuna. (D-A-C). Full day to visit and enjoy the main tourist attractions in the beautiful area of Arenal Volcano; starting with the hike in the Arenal National Park, later going to swim in the waters of the La Fortuna Waterfall, enjoy a Costa Rican Lunch and in the evening relax in the thermomineral waters of Baldi and after the buffet dinner return to the hotel. 1. Celeste River: famous for the turquoise color that characterizes it, it is a 3-hour walk to reach the famous teñideros where you can appreciate the beautiful color. We leave La Fortuna at 8:00 am and return at approximately 4:00 pm, lunch, transportation, guide and tickets are included. Day 6: Transfer to Hotel Aeropuerto. Scheduled departure according to the information of your flight back home. Transfer to Juan Santa Maria International Airport according to the information of your flight back home. All the transportation to move to the different touristic sites included on this itinerary. Tickets to all the National Parks included in the itinerary. 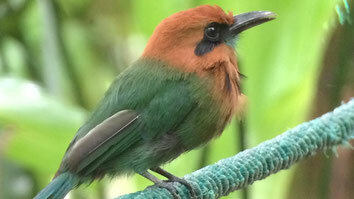 3 nights of lodging in Arenal. Fill out the following form if you want to reserve or if you need more information about this vacation package for 6 days, 5 nights in Costa Rica.